HYDRA Point of Sale Terminals allow users to take traditional over-the-counter orders using a quick, intuitive, user interface. 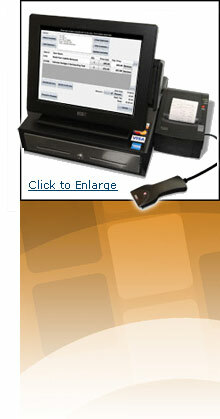 These terminals are a perfect solution for retail businesses where speed and accuracy are critical. "The HYDRA POS Terminal worked great at our last gun show - we set it up wirelessly and were able to process over $20,000 in orders right at our booth. We just turned on the terminal and started taking orders."